In the early 1930s, with the world in the grip of economic depression, a Danish widowed father of four had a vision. Despite the grim fi scal outlook, Ole Kirk Christiansen purchased a small toy shop in the town of Billund and launched a modest business with the name Leg Godt (Danish for ‘play well’). ectionately known, had become the toy of choice for children worldwide. In the years that followed, Lego evolved and grew. From simple plastic blocks to the release of playsets and the invention of the little yellow man, the company innovated its way to the position of undisputed leader in children’s play. Until the late 1980s, that is. As new generations of children began opting for video games rather than plastic playsets, Lego was faced with a dilemma. The company began an 11-year loss stretch – losing $500 million in just two years at their worst point. By the late 1990s, the casual observer may have been justifi ed in predicting that Lego had run its course and was a dead brand walking. And yet, the story was far from finished. ering with the 2010 release of a massively multiplayer online game Lego Universe. More recently, they have developed smartphone apps that allow users to build Lego shapes while sitting on the bus. There is little doubt that Lego today is more powerful, profi table and relevant than ever – the recent release of their blockbuster movie is testament to this. In contrast, Lego’s one-time rival Meccano has faded into obscurity. While an appetite for change is critical to staying ahead of the curve, it is important to discern which fundamentals in an organisation should never change. Just as it is necessary to determine which walls are loadbearing when renovating a house, leaders must identify non-negotiable values, principles and purpose. Tamper with these ‘load-bearing’ fundamentals, and everything may come crashing down. Before embarking on any change agenda, it is vital to recalibrate an organisation with its core DNA and allow this to be a guidepost for strategy and a touchstone for decisionmaking. 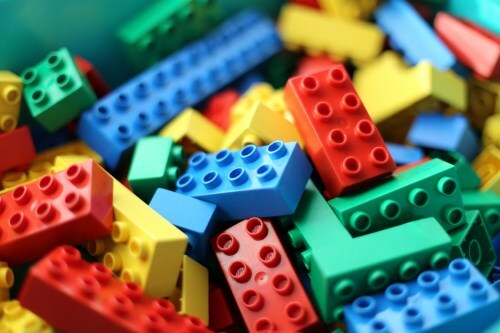 In the case of Lego, the company’s leadership never lost sight of Lego’s core purpose of inspiring play, creativity and imagination amidst their digital reinvention. Any gardener knows that regular pruning is necessary to maintain the health and vitality of a garden. In the same way, organisations require regular pruning of initiatives, traditions and even people who are inhibiting growth. While pruning can be painful and even disruptive in the short-term, it is critically important. Consider how Sony CEO Kazuo Hirai has recently embarked on a series of necessary pruning initiatives. In the face of $6.4 billion loss for 2012 and a dramatic downgrade of Sony’s credit rating, Hirai recognised that he would need to act quickly to turn around the ailing tech giant’s fortunes. any Sony-owned non-core companies, dramatically streamlined manufacturing processes and cut Sony’s global workforce by roughly 10,000 employees. erent frame of reference is, in fact, the key to innovation and invention. trouble thinking outside the box because they have no idea what the ‘box’ even looks like yet. As times and needs evolve, so must the positioning of businesses and brands. This could mean developing new products and services, tapping into new markets, or completely overhauling a brand’s messaging. To see a brilliant example of a repositioned brand, look no further than 160-year-old glass manufacturer Corning. In 1908, half of Corning’s revenue came from making glass bulbs. Over time, the Corning brand extended beyond these roots and became known for its high-quality cook- and kitchenware. Today, however, many of Corning’s most lucrative products are ones that didn’t exist 10 years ago. The company now specialises in cathode-ray tubes, fi bre optics for HD TVs, and laser technology that enables mobile phones to be fi tted with micro projectors. in the distance, surfers know that this is the time to move – to paddle out and get in position. Move too late or not at all, and you’ll simply get washed up as the wave crashes over you. Michael McQueen is a leading business commentator and four-time bestselling author. His most recent book “Winning the Battle for Relevance” explores the importance of reinventing an organisation or brand before you are forced to.